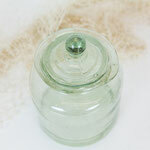 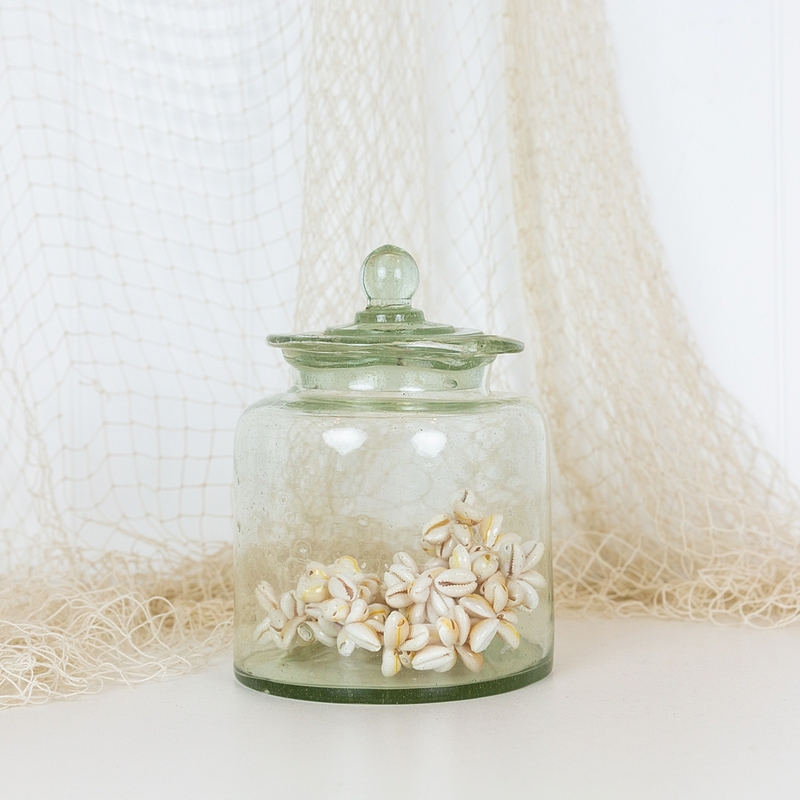 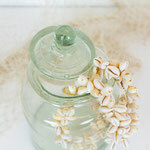 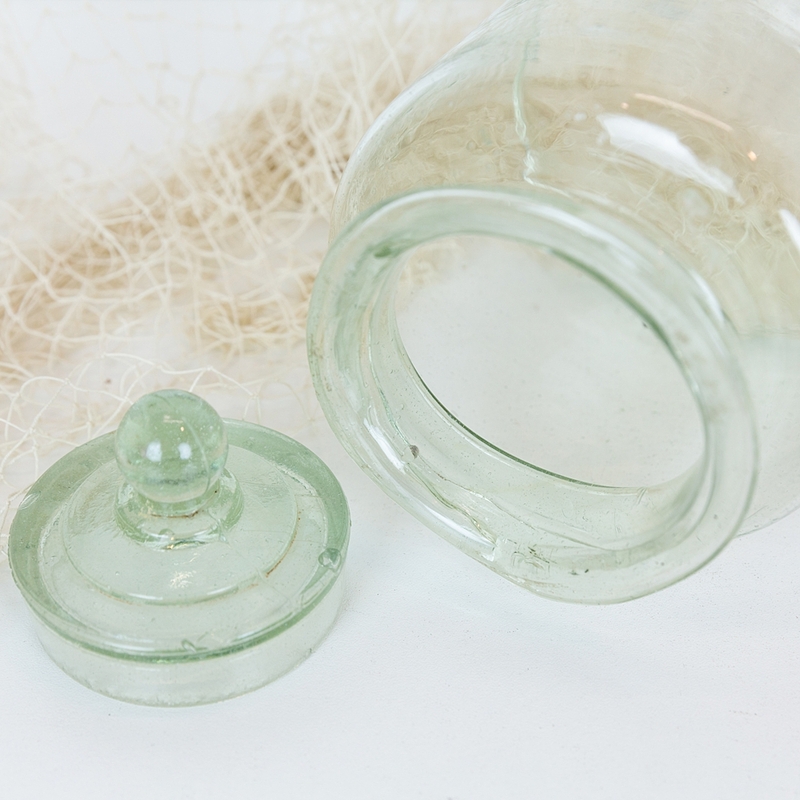 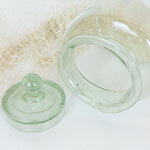 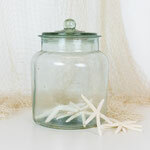 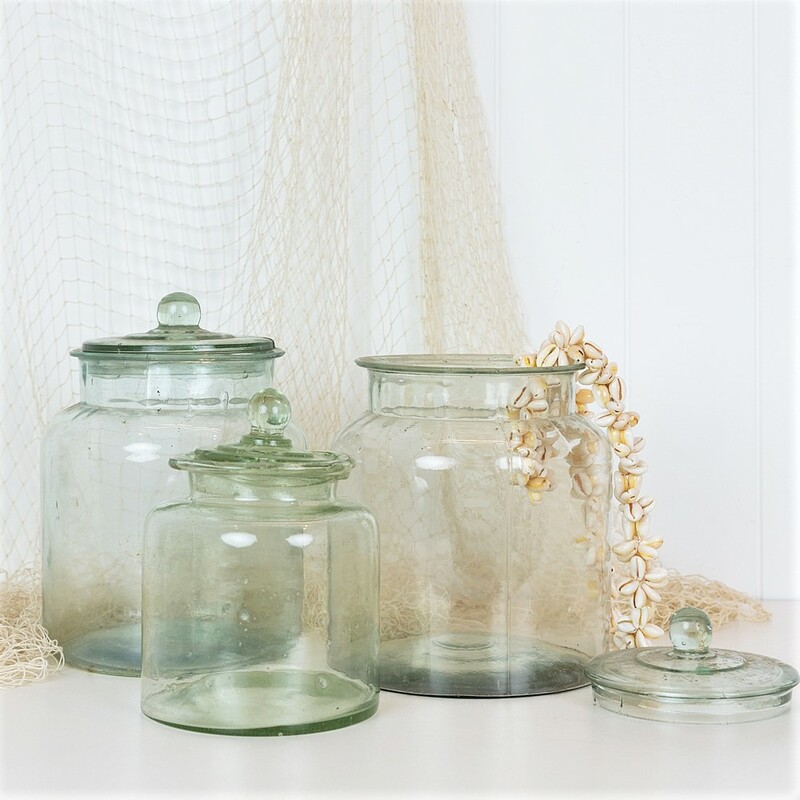 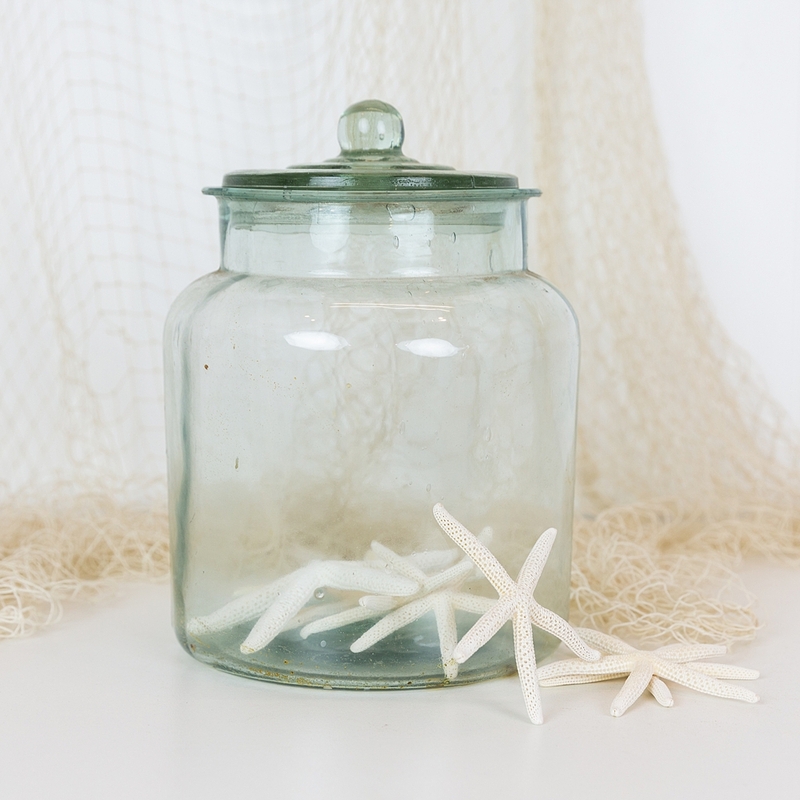 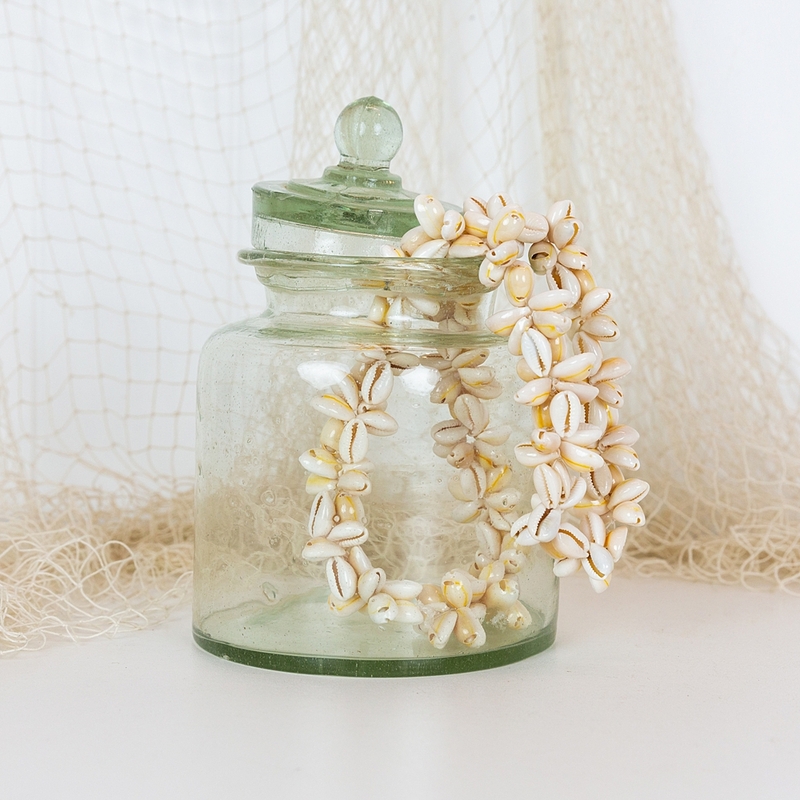 These old glass jar were once used in markets and stores in Indonesia, and would have been used to store grocery items such as crackers or sweets. 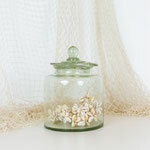 They look wonderful filled with shells or lemons, or with the lid removed it would make a lovely vase. 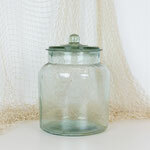 We have two sizes available. 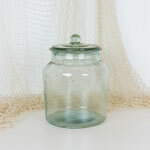 Please select which size you would like below. 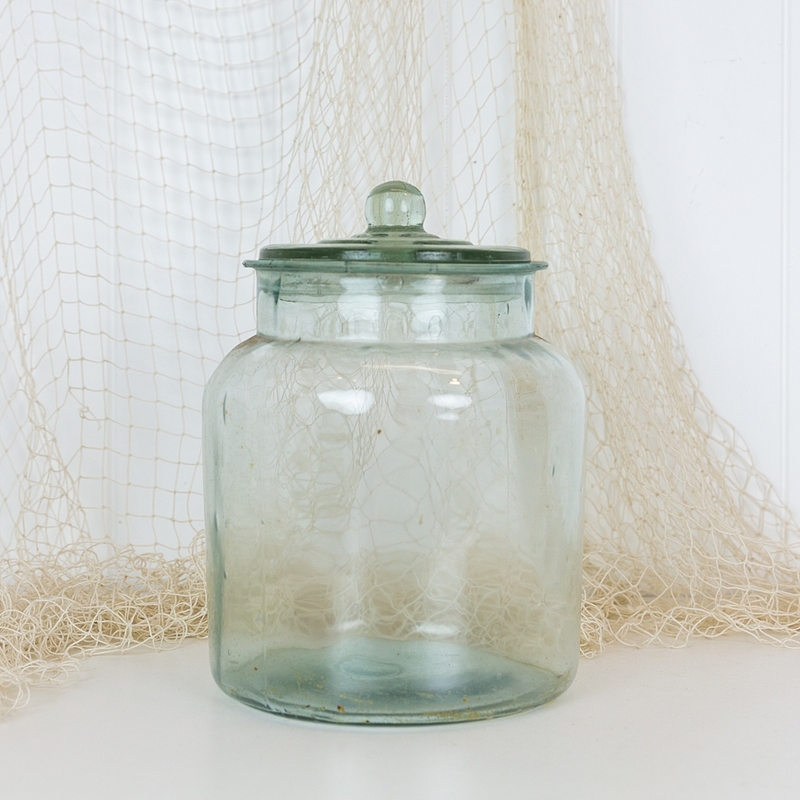 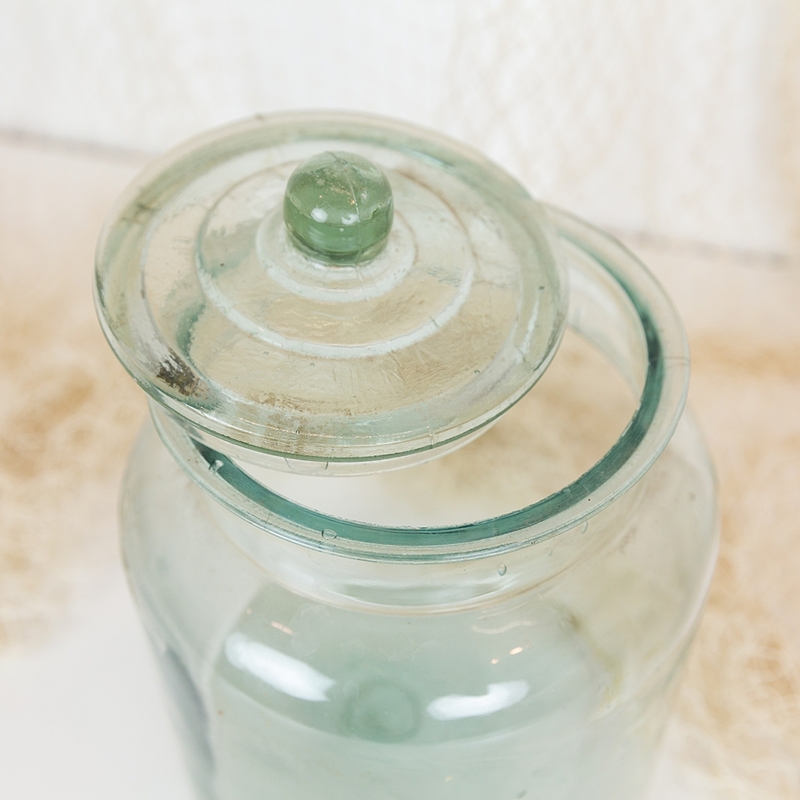 Please note that as these are vintage the markings and condition of these jars all vary slightly. We will select one for you from stock at hand at the time of your purchase.